Descant to the hymn tune CORONATION. Free score with harmonized descant. 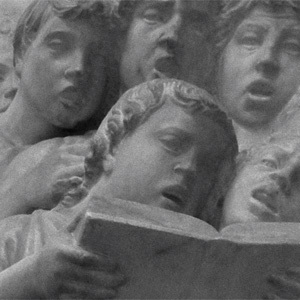 (Audio: Prologue + hymnal verse + an original a cappella SATB + descant verse) Free score. Edward Perronet wrote "All hail the power of Jesus name" while he served as a missionary in India, the hymn first appearing in the November, 1779 issue of Gospel Magazine. These words have has been translated into virtually every language in which Christianity is known. Oliver Holden was an 18th C American composer and compiler of hymn tunes, among his other varied professional interests. Possessed of only a few months of formal schooling, he worked as a carpenter, real estate agent, landowner, legislator and pastor. Among his books on sacred music are The American Harmony (1793) and Union Harmony, or a Universal Collection of Sacred Music (1793 & 1801); he also taught 'singing schools' in the same fashion as William Billings. 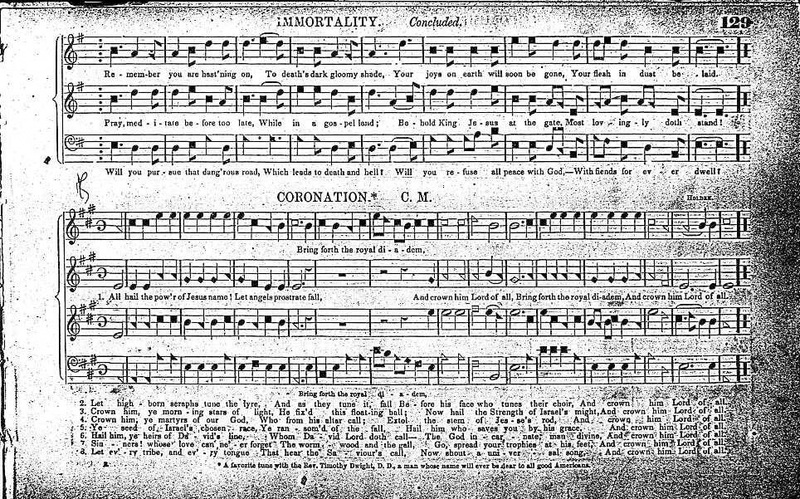 Holden wrote many hymns, of which CORONATION - written specifically for this text - is the most well known, and regarded as the only American hymn tune from that era still in everyday use. The image below is in an early, shape note form, which would have been the standard of that era. This version replaces the opening prologue, and improves voice leading in the descant.